Fiat Chrysler recall: Software on 1.4 million cars could be vulnerable to wireless hacking. 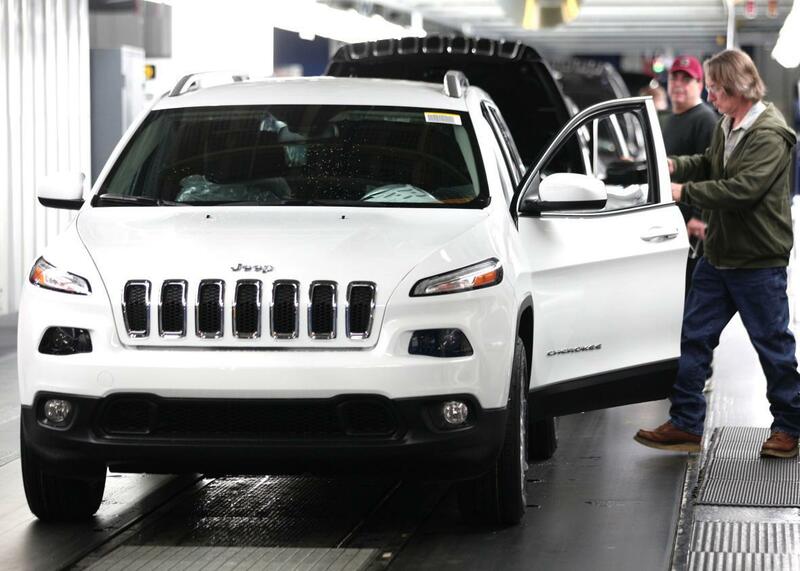 This 2014 Jeep Cherokee, shown during assembly at the Chrysler Toledo North Plant, is one of 1.4 million vehicles recalled by Fiat Chrysler on Friday. The announcement by FCA US LLC, formerly Chrysler Group LLC, comes after cybersecurity researchers used the Internet to turn off a car’s engine as it drove, escalating concerns about the safety of Internet-connected vehicles. The researchers used Fiat Chrysler’s telematics system to break into a car being driven on the highway and issue commands to the engine, steering and brakes. The National Highway Traffic Safety Administration (NHTSA) and members of Congress have expressed concern about the security of Internet-connected vehicle control systems. The remote Jeep-jacking was executed by Charlie Miller and Chris Valasek. Andy Greenberg, who later described the experience in Wired, was driving it on a freeway in the St. Louis area and he was in on the stunt. While some of the commands Miller and Valasek gave the Jeep were almost playful—blasting a rap station on the radio and cranking up the air conditioning—they were also able to bring it to a stop by shutting down its transmission. In a separate exercise in a parking lot, they were able to disable the brakes. Fiat Chrysler has created a lookup tool for owners to check whether their vehicles are covered by the recall, which can be found here. As noted by Greenberg in Wired, Democratic Sens. Ed Markey and Richard Blumenthal proposed legislation this week that would set minimum standards of wireless security for automobiles. The Security and Privacy in Your Car (SPY Car) Act would require manufacturers to disclose the measures taken to shield cars from hacking and allow consumers to opt out of data collection enabled by on-board technology.